Are you the type of person who just wants to be told exactly what to eat and when? Do you hate meal planning, do you just not have the time, but really, really want to succeed at losing fat? Let us create for you a customised meal plan that takes YOUR goals and YOUR body into consideration. 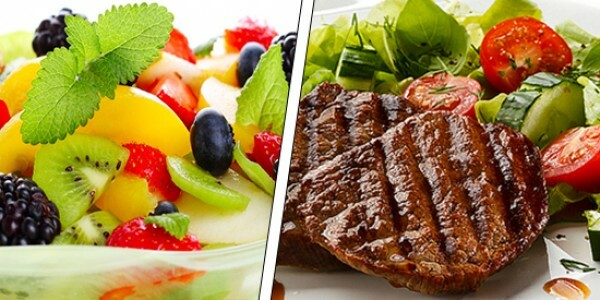 This is not a cut and paste thing, you will get a tailor made eating plan just for you. and we will work around you! Continuous Support to ensuring the fastest results possible! you can expect a super quick response! Please, before buying understand that there are NO REFUNDS, this is not a 'product', you are buying our time, to create something completely customised and personalised to you. We will of course work with you to get it right, but we cannot afford to do a days' worth of work and not get paid. I'm sure you understand that is fair. AFTER YOUR PURCHASE IS MADE YOU WILL BE REQUIRED TO FILL OUT A QUESTION FORM AND SUBMIT IT BACK TO US. THIS IS SO YOU GET THE PERFECT MEAL PLAN DESIGNED JUST FOR YOU. AFTER SUBMITTING YOUR FORM IT WILL TAKE ROUGHLY 1-7 DAYS (NEVER ANY LONGER) FOR YOUR PERSONALISED MEAL PLAN TO BE CREATED AND SENT TO YOU!